While working as a consultant I hear a lot of talk about the social media sites from people at conferences, marketers and by entrepreneurs. Unfortunately a lot of this information I hear is incorrect and misdirected. The spread of this misinformation is continuing. So I want to Debunk some of the Common Myths about Social Media. 1. Social media is a science-no it’s not it is about people and communicating person to person and is called the web because we all link together in many varied ways such as by Facebook and Twitter. It comes down to person to person interaction. 2. B2B is unable to succeed in social media-many people are convinced that companies that sell to and partner with another business is unable to use the social media to influence and grow their business. Could it be because these consumer companies have been here longer and their groups are larger but they can still use the web for growth? 3. You only need Facebook and Twitter- a great team of social media exponents will use as much social media exposure as they can get to ensure that people will understand the relationships between media and not just the tools that are being used. A company serious on having a bigger presence in social media will have greater opportunities. 4. Social media belongs in PR or marketing or…-social media is all about conversations and any communication can’t be pushed to a single department or be one-sided. The brand is owned by every employee and they have the responsibility to share what is working. 5. Social media is a time waster-the time that we spend without any meaning is a waste and this is not the problem of social media it is someone else’s. 6. Don’t automate syndicated micro content-this has people throwing their arms up and saying you can’t automate a site like Twitter, not a tiny bit, not at all. This of course is a silly statement as there are no right or wrong ways to use Twitter. As long as what you do is useful and informative what does it matter? I personally use automated and manual posting. As long as the information provided is of quality it does not matter what the nay sayers are saying. 7. Social media is impossible and difficult to measure-social media is not at all difficult to measure and the people who say this are not fluent in the metrics of marketing online. They question the social channels but probably don’t even know how their web sites are performing. 8. Our customers don’t use social media-I have actually heard people say this as if more than 800,000 Facebook users let alone those on the other social media sites don’t do searches. Usually the people who say this have not polled their own customers in order to find out if they are or not and are resistant to change and won’t take the advantage to attract a new audience. This list is only a short one. 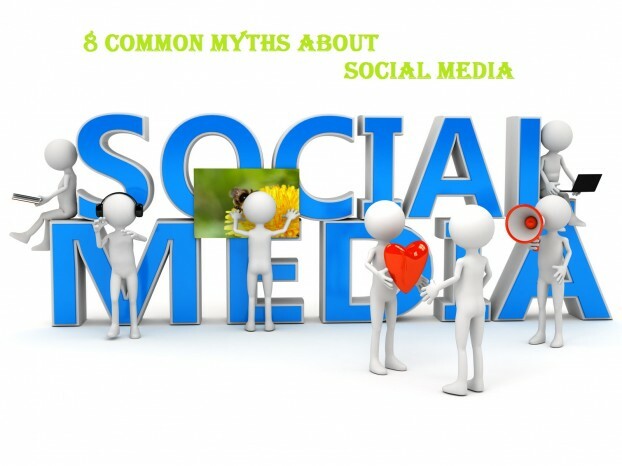 Do you have myths about social media that need to be debunked? Adam Chronister is the founder of Accelerated Freelance, an award winning web design and Internet marketing firm. You can find him on Google Google+ and Twitter. Visit there website for more info.